Would you like to discover what are the best things to do in Bevagna? Here is a mini guide to find out what to see, things to do and foods to eat in Bevagna , precious medieval town surrounded by big, ancient walls. Let's start our tour to discover this Umbria's treasure from the highest point of the city, close to Piazza Garibaldi, where you can see the church and convent of San Francesco built in the late thirteenth century. The facade has an elegant portal and inside along the nave, you can admire the paintings by Dono Doni and Ascensidonio Spacca and the remains of frescoes of the sixteenth century. 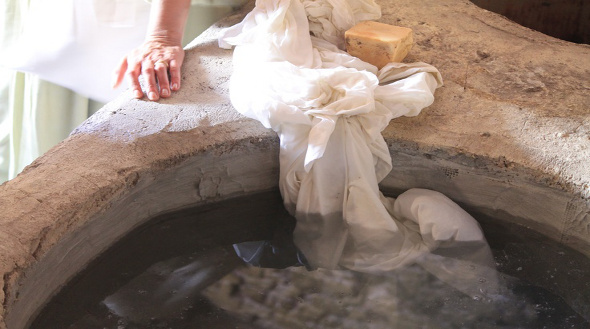 Near the altar, protected by a grate, is exposed the stone where, according to tradition, St. Francis put his feet during the " preaching to the birds " in Pian D'Arca. There are also a chapel attributed to Galeazzo Alessi , which has a Tabernacle of the fifteenth century and a dome decorated with fine glazed earthenware , attributed to Santi Buglioni . 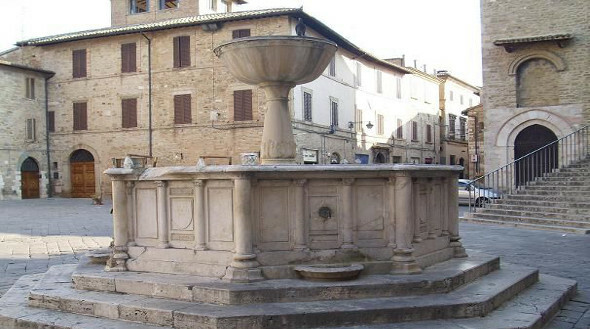 Let's visit Piazza Silvestri, the center of the town, very characteristic with its irregular shape. Here you will find Palazzo dei Consoli and 3 churches : the church of San Michele, the church of S. Domenico and the church of San Silvestro Giacomo. Palazzo dei Consoli which seems to have been built by Maestro Prode in 1270, has in its facade Gothic windows and a beautiful staircase leading to a large covered loggia with cross vaults . Since 1886 it also hosts the Teatro Torti that can accommodate only 140 seats, fully decorated by the skilled hands of Domenico Bruschi and Mariano Piervittori . The church of St. Michael, which was built in the thirteenth century has three naves, and inside you will find many artists' works. The church of S. Domenico was built in 1291 on an oratory. La facade has a portal with over a frescoed lunette. Inside there are various frescoes and paintings of the sixteenth and seventeenth century. The church of San Silvestro Giacomo, also with a Romanesque facade , was built and designed by Maestro Binello in 1195 and was later restored in 1954. Inside we can note the presence of three naves. Here are frescoes of the Umbrian school. After admiring the beauties of Piazza Silvestri what are the things to do in Bevagna? Walk along Via Santa Margherita to see the church and Monastery of Santa Margherita, renovated in the seventeenth century. Here you can admire a fresco of 1592 and two of Ascensidonio Spacca and two works of Andrea Camassei arranged on Scala Santa (so named because covering it , were obtained by the same indulgences homonymous Scala Santa in Rome) made by Providoni. Among our suggestions on things to do in Bevagna we can not miss a ride around the city walls, still standing in almost their entire perimeter . 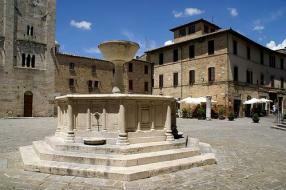 There are offers for vacation rentals and hotels in the areas of Bevagna! Click and Consult them immediately. It 's very interesting to find out in Bevagna some important remains dating back to the Romanesque period: a Temple, a thermal construction which preserves inside a beautiful mosaic and the remains of the Roman Theatre.. Mosaics are black and white and represents typical mythological subjects that draw on repertoire and ornamental marine type : triton and hippocampus , octopus, dolphins , lobsters. The Roman theater is now used as a laboratory for processing of ceramics. What are th best things to do in Bevagna in June? If you are so lucky to visit Bevagna in the last ten days of June you'll come across one of the most beautiful historical events of Umbria: the Mercato delle Gaite. In this occasion, costumed characters revive ancient crafts along narrow streets and typical environments, with tasting of traditional medieval flavors and presentation of typical craft products. Like all Umbria towns in Bevagna you will see a very rich culinary tradition. We collect for you some typical foods of the territory to let you choose between the many dishes what to eat in Bevagna . See the best restaurants in the area of Bevagna! >> Click here and book. A specialty of the area are the snails also known as chiocciole cooked stew. Bevagna stands on the Strada del Sagrantino; do not miss gnocchi with sagrantino and meat-filled gnocchi, a recipe that comes from the kitchen of the Monastery of the Benedictine Sisters of Santa Maria al Monte. 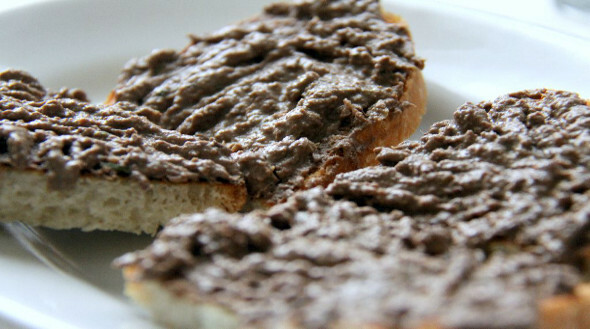 Among the appetizers , crostini with chicken liver and spleen are among the most flavorful and if you do not know what to eat in Bevagna remember that Tozzetti con Vin Santo here are an institution! If you've decided to visit Bevagna and taste the delicious Umbrian cuisine you should contact now Farm-Houses near Bevagna >> click this link.